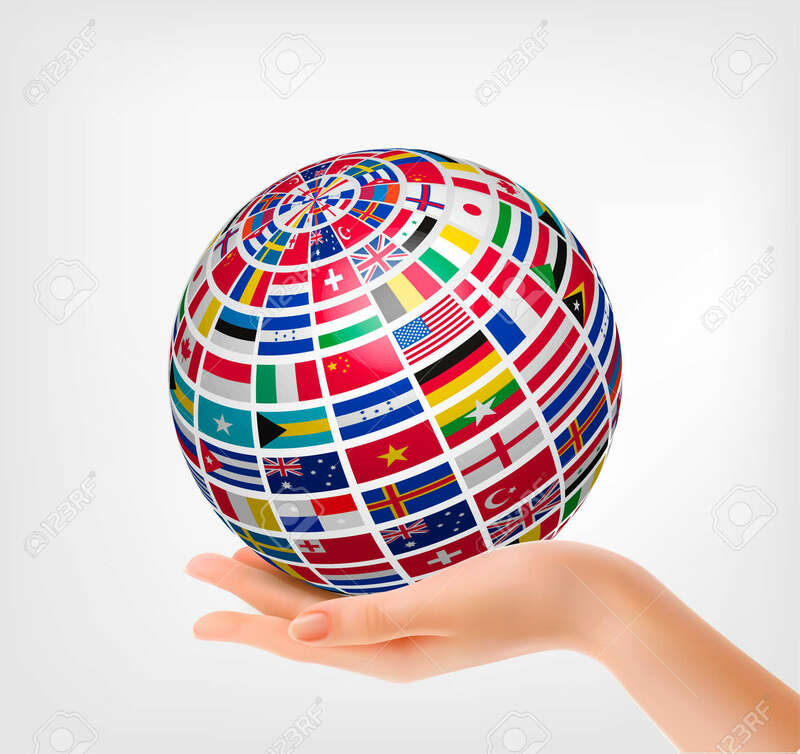 Flags Of The World On A Globe, Held In Hand. Vector Illustration Royalty Free Cliparts, Vectors, And Stock Illustration. Image 45890030.